Home News New Specialty Series South Park Mr. Garrison Pop! Vinyl Coming Soon! 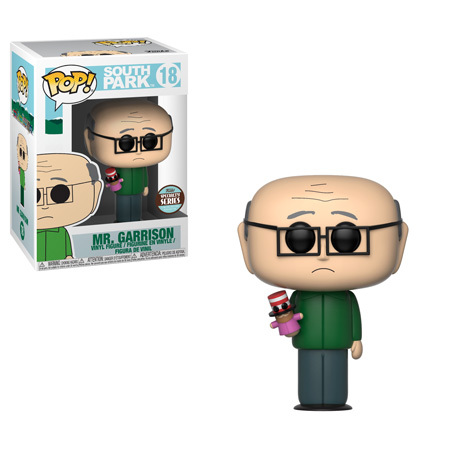 New Specialty Series South Park Mr. Garrison Pop! Vinyl Coming Soon! Funko has released a preview of the new Specialty Series South Park Mr. Garrison Pop! Vinyl. The Specialty Series Exclusive will be available at select Comic Book stores. Contact your local comic Book Store or visit select retailers to pre-order these new Specialty Series Exclusives. Previous articleNew Funko Shop Exclusive Bigfoot with Marshmallow Pop! Vinyl Released! Next articlePreview of the upcoming Hot Topic Flaming CupHead Pop! Vinyl plus NYCC and LACC News!